Since girlhood, Emily Darson has accepted that she will marry Nicholas, the son of her father's trusted business partner. The marriage contract safeguards her family legacy, Emily's fortune, and everything she values--except her independence. 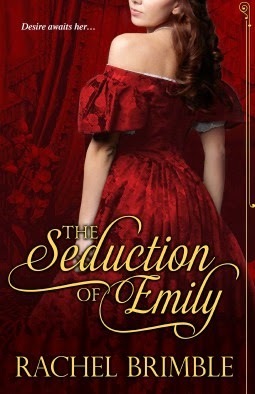 Only when a sinfully handsome scoundrel enters her life does Emily realize quite how much a loveless match will cost her. Will Samson has advanced from expert pickpocket to confidence trickster of the highest caliber. Now he has come to Bath to exact vengeance on the man who destroyed his mother--the man Emily will soon marry. But from his first glimpse of the enemy's bewitching, spirited fiancée, Will's plan changes. My Review: Let me begin by saying that I was originally drawn to the cover of this novel. So when you first meet the heroine and she does not have the same hair color as the cover model, I should have known the rest of the story would be just as disappointing. There was really nothing likable about the characters. Nicholas was a violent man who enjoyed the company of prostitutes almost as much as he enjoyed beating them. He constantly puts down Emily, and even at times, lets her get glimpses of the monster within. And although Emily cannot stand the man, she will not "cry off" or refuse to marry him because then he will get 100% of the business her father and his built (as well as all of her money). The worst part? She doesn't care about losing the business and money for herself so much as she worries losing it for the sake of her future children. That's right, she's more worried about money and social status for children she does not even have instead of being worried about their well-being being sired by and raised by an abuser. Also, I found it highly unlikely, given the time period this novel was supposedly set in, that Emily would through everything away on one night of passion with Will. Did she not realize that had she married Nicholas and he learned she wasn't a virgin, that he could have the marriage annulled and she would lose everything - including her reputation? What would she have done had she become with child? With Will's child? Surely Nicholas would be able to count the dates and realize she was trying to pass another man's child off as his - and then what would he have done? The ending did tie the whole thing together nicely, and even left it open for the potential for a sequel, although if there is one, I won't be reading it.